Richard Ellis, a lecturer who gave voice training to ministers and campaigned against muzak, has died at the age of 73. Richard trained hundreds of budding preachers in the art of speech-making, including many Church of Scotland ministers. Here, Charlie Ellis writes about his life, with contributions from Rev Angus Mathieson. Born: October 18, 1944 in Nairobi. Died: July 3, 2018 in Lincoln, aged 73. 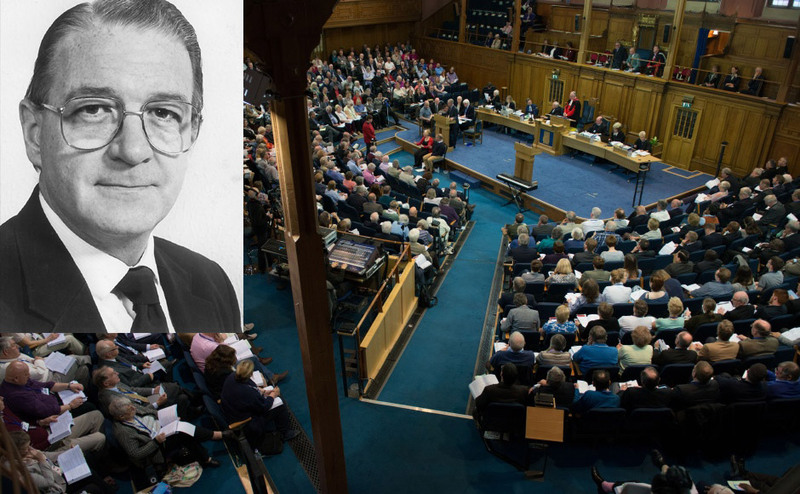 Since his death Richard’s many friends and colleagues have praised the warmth, energy and professionalism shown by him during his life as a trainer and lecturer in communications, for the past 44 years in Scotland. After spending the first six years of his life in Kenya and Nigeria (his most vivid memory of which was hunting for lizards with a bow and arrow), Richard’s next home would be the seaside town of Swanage in Dorset. Richard spent his childhood summers playing golf at the course where his father John was secretary (then owned by Enid Blyton), and swimming in the sea with his sister Barbara. At King’s School, Bruton in Somerset his love of language was ignited by listening to the King James Bible at school services and an inspirational English teacher. His schooling was cut short by his father’s sudden death which had a profound impact on him – not least that he was unable to complete his sixth form studies. This set him on an unconventional educational path. Whilst still doing his A-Levels Richard began (at Hillcrest School in Swanage) what would be a lifelong involvement in teaching. His teacher training took place at St Luke’s College, University of Exeter where he was inspired by his tutor, the politician Richard Acland. Richard subsequently went on to take a degree in Geography & Economics at London University and later a Masters in Education at Edinburgh. Looking back on his career Richard believed that two key aspects were the early start he had had as a teacher (‘I’ve been doing it for over 50 years so I should be pretty good by now!’) and his background in acting. He studied speech and drama at The Guildhall School of Music & Drama and appeared in a number of Shakespeare productions in his twenties and thirties. In later life in Scotland Richard took part in ‘Across the Border’ (with Bette Boyd) and more recently ‘Shakespeare’s Women’ and ‘This Human Traffick’, which raised funds for Anti-Slavery International. Over the decades he regularly acted as adjudicator at Drama Festivals across Scotland. His first overseas teaching experience was through the VSO in Libya in 1966-7. Perhaps with visions of T E Lawrence in his mind, he headed off to Jadu, 175 miles from Tripoli, to help improve the trainee teachers’ spoken competence and supervise their teaching practice. While in Libya Richard was caught up in the turmoil preceding the outbreak of The Middle East War and had to take refuge in the British Embassy in Tripoli after his group’s Land Rover was stoned. 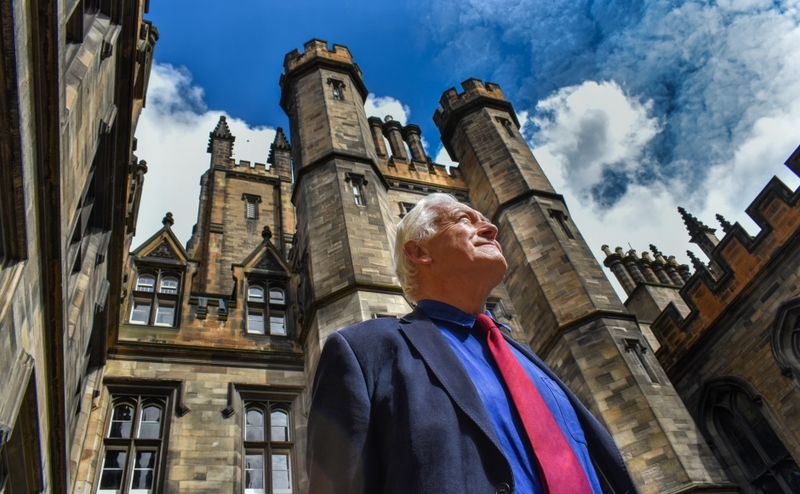 Later he undertook a dozen overseas trips for the British Council (as a consultant in methodology and course design) and directed their summer school at Aberdeen University for over a decade. After four years teaching English in secondary schools in Hampshire he moved on to further education. Richard first encountered Edinburgh when best man for a school friend, Richard Love. Instantly attracted to the city, he found a position as lecturer in English and Drama in 1974 at the then new Stevenson College. Subsequently he moved to Queen’s College Glasgow as lecturer in communications. Originally he would show them clips of the actor Ricki Fulton’s TV characterisation of the laconic Reverend I.M Jolly as an example of what not to do when addressing congregations. During the 1980s Richard was a member of Scottish Exam Board’s English Panel and worked on new Standard and Higher Grade assessments. He started his own consultancy business in 1989 combining it with his lecturing work before going full time in 1993. Over the next 24 years Richard Ellis Consultancy was engaged by a wide range of companies and institutions – particularly in the finance, higher education and health sectors (he specialised in communication for pharmacists, doctors and dentists). Richard also worked with the Edinburgh-based training company Communicate Consultants. He relished the variety that his work offered and the way that it brought him into a regular contact with interesting able people. He wrote a number of works on communication and was proudest of the book he co-authored with Ann McClintock – If You Take My Meaning: Theory into Practice in Human Communication. He often joked that he was paid to go to church. This related to his role at New College (Edinburgh University’s Divinity Faculty) as the Fulton Lecturer in Speech and Communication, a part-time position he held from 1981 until 2016, following in the footsteps of others, including the late Alastair Sim. In that time he watched (and wrote reports on) trainee Church of Scotland ministers in action at more than 800 church services. The regular visit to the video room in the tower of New College was an experience which few looked forward to, but Richard’s feedback was invariably gracious, affirming, and helpful. One minister, learning of his death, remembered him as kind and unshockable. Originally he would show them clips of the actor Ricki Fulton’s TV characterisation of the laconic Reverend I.M Jolly as an example of what not to do when addressing congregations. But as these were dwindling, Richard recognised that booming voices and expansive gestures had become less than appropriate and instead he pointed to the nuances of sustaining eye contact, rhythm and pace and of adopting the style of a story teller. 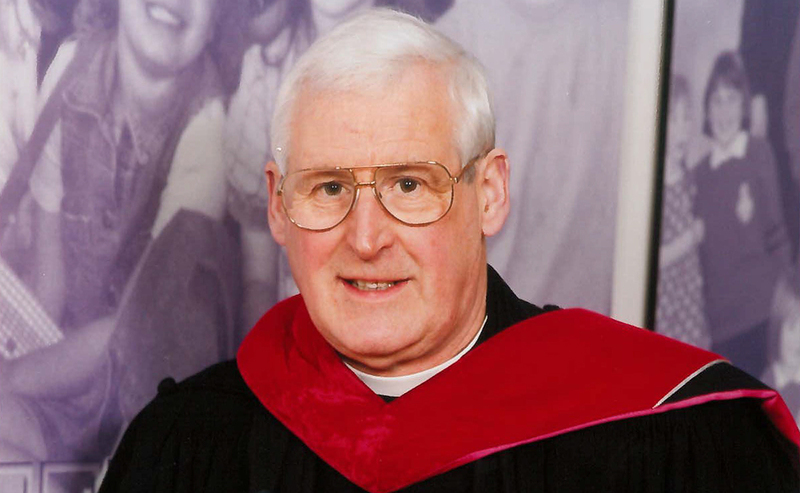 He was helpful and supportive to a whole generation of ministers; Angus Mathieson, Secretary to the Church of Scotland Mission and Discipleship Council, remembers him as unfailingly supportive and generous in giving of his time and talents, both in individual one to one sessions, and in teaching at candidates’ conferences. His passion for outdoor pursuits – hillwalking, cricket and golf – helped him maintain robust health into his early seventies. Having had little experience of hillwalking, he joined the Ptarmigan Mountaineering Club soon after settling in Edinburgh, subsequently acting as its convener. He was also an active supporter of The John Muir Trust and its work to preserve wild places. One organisation particularly close to his heart was the English Speaking Board with which he was involved from 1974, including two much praised spells as its director. Richard was passionately committed to the growth of the organisation and its educational mission; working in schools, colleges, prisons and adult education centres here in the UK and overseas to stimulate confidence in the spoken word. Richard had a long association with the National Trust for Scotland, where he had spells as a national council member and chairman of the Edinburgh Members’ Centre. In all the organisations with which he was involved he emphasised the need for them to regenerate themselves on a permanent basis and to attract new blood. Always interested in local politics, he stood for the Liberal Party in the Sciennes ward in the 1980 local elections and was later approached to stand for parliament. Richard demonstrated his belief in volunteering with his tireless work for various local organisations: Morningside Community Council, Morningside Heritage Association, Friends of the Meadows and Bruntsfield Links among others. After moving to Lincoln in 2016 he soon got involved with the Liquorice Park Trust and promoting youth service programmes through the local Rotary group. Richard met his wife Grace at the 1974 Edinburgh Festival and they married the following year. Their children Charlie and Victoria, to whom he was a devoted father, arrived soon after. He and Grace enjoyed hosting events at their unique, rambling house in Jordan Lane. He had a full and active life and will be greatly missed by his family, friends, those he worked with and by the members of the many organisations to which he so enthusiastically gave his time. A private family service was held at Lincoln Crematorium on 16 July. A memorial event will take place at 3pm on Friday 14 September at Greyfriars Kirk, Edinburgh.